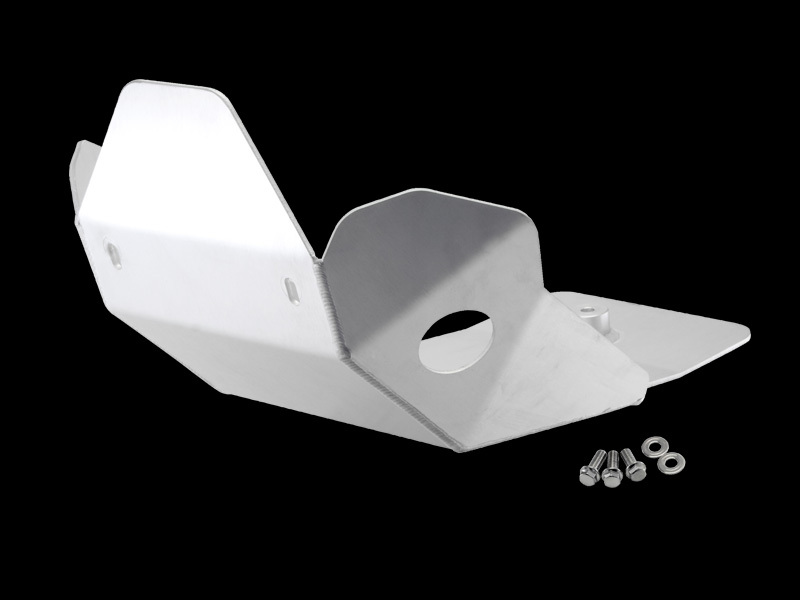 - Made of 5000 grade durable aluminum. 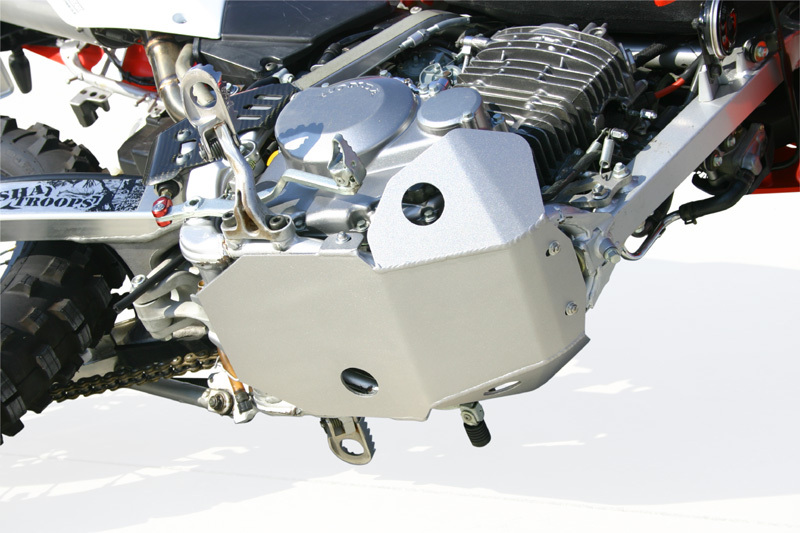 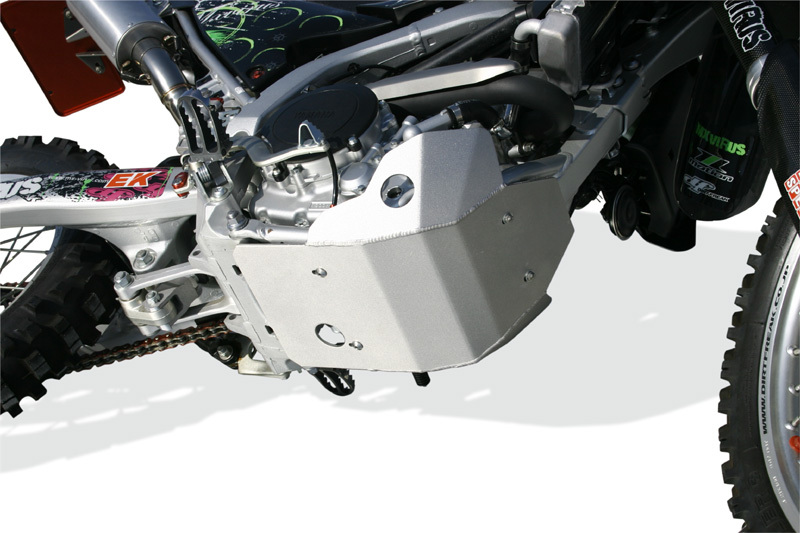 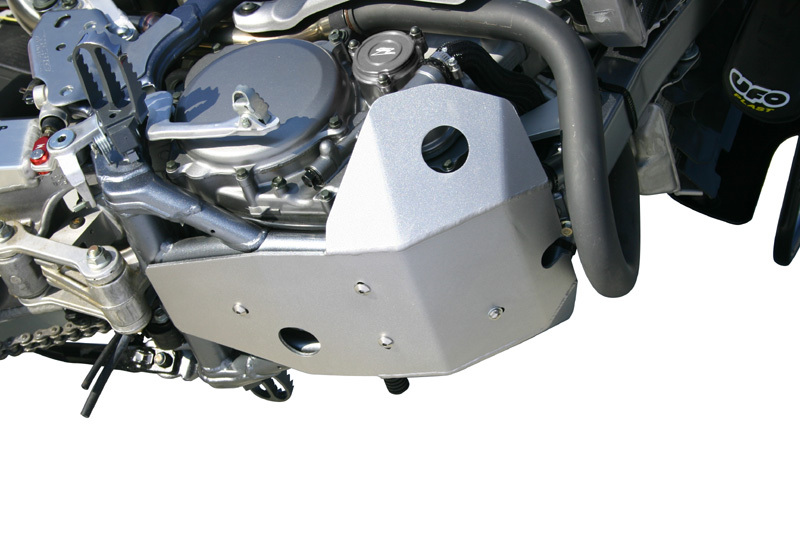 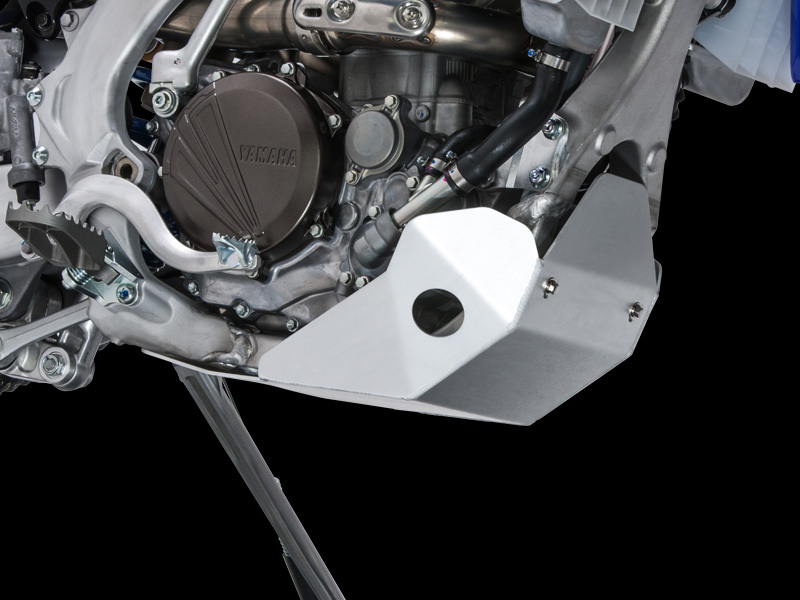 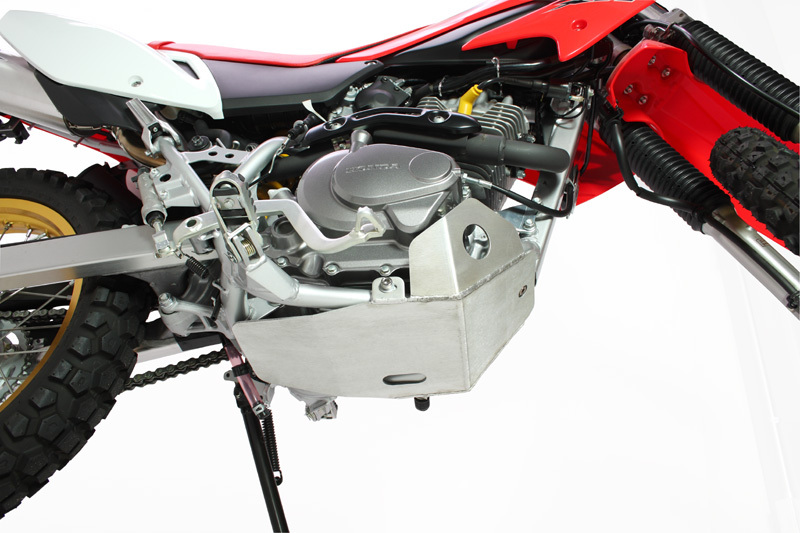 - Protects the area under engine, water pump cover and crankcase from stones and rocks. 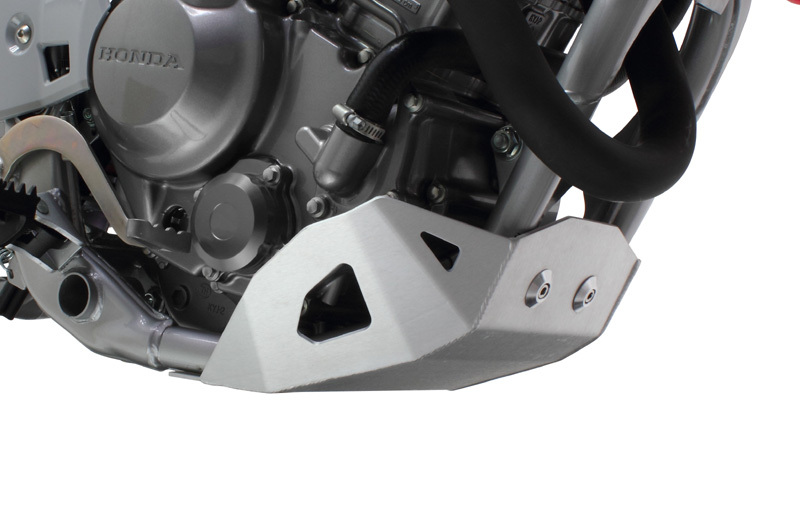 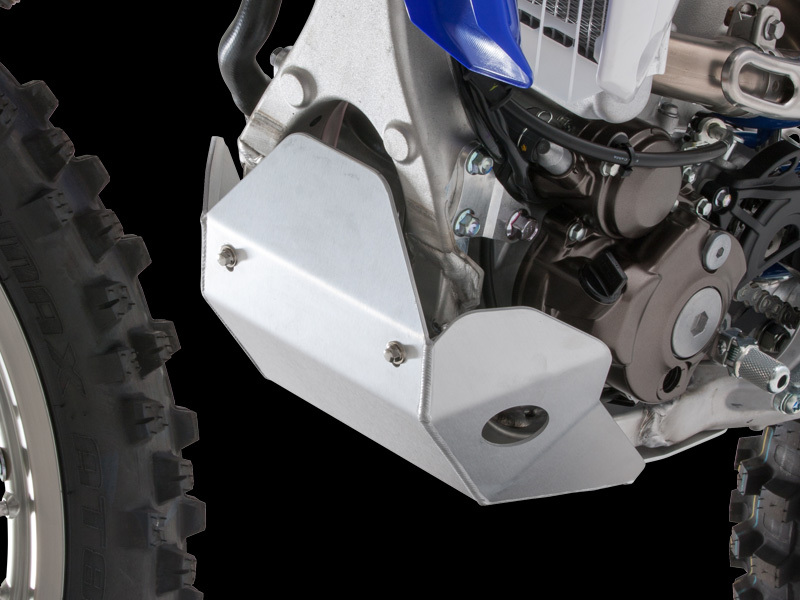 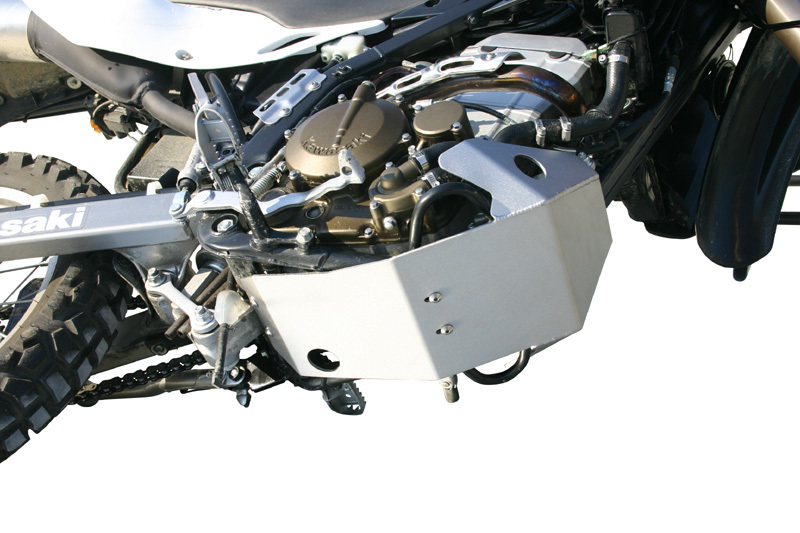 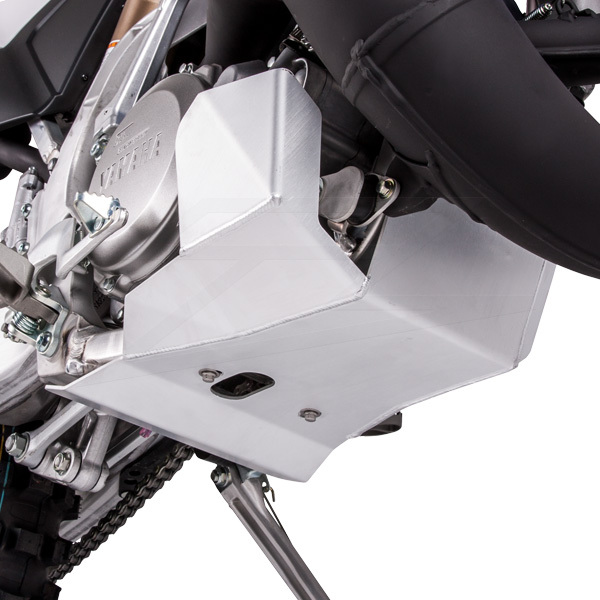 - Oil drain hole allows easy oil changes without removing the skid plate.